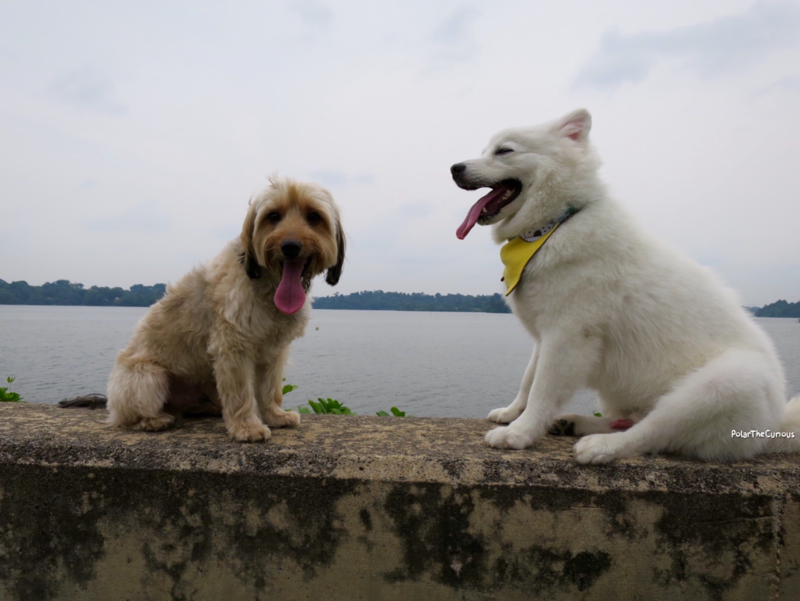 A couple of weeks back, we met up with a friend and her little pooch, a Dachshund mixed Terrier, aptly named Dashie. 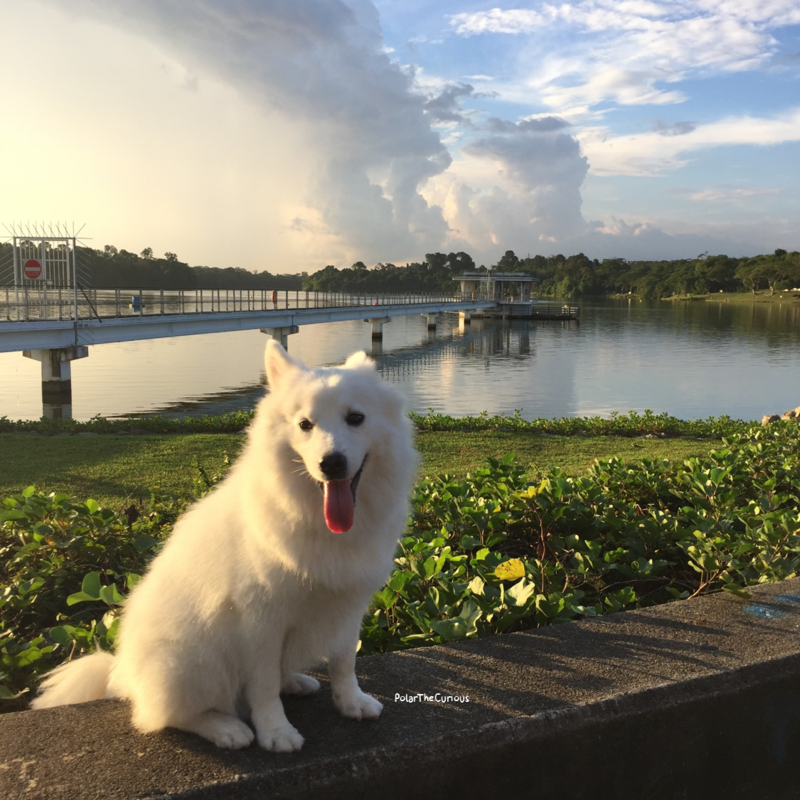 They introduced a really beautiful part of Singapore – definitely a hidden gem for dog owners – Upper Seletar Reservoir. 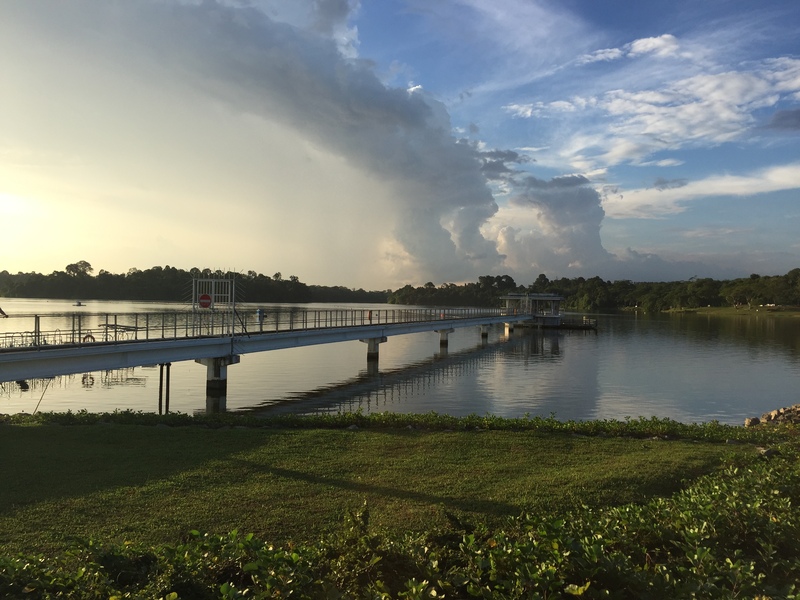 Upper Seletar Reservoir is quite out of the way, mostly accessible only by vehicle, and therefore a lot less crowded than the typical park. 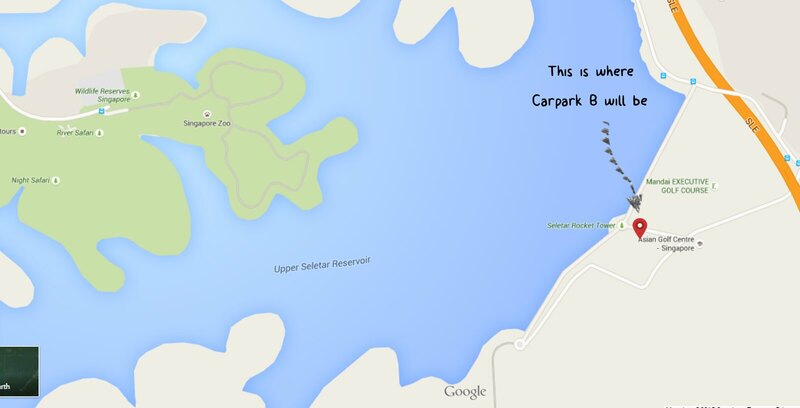 The carpark is free and you can park at Carpark B. 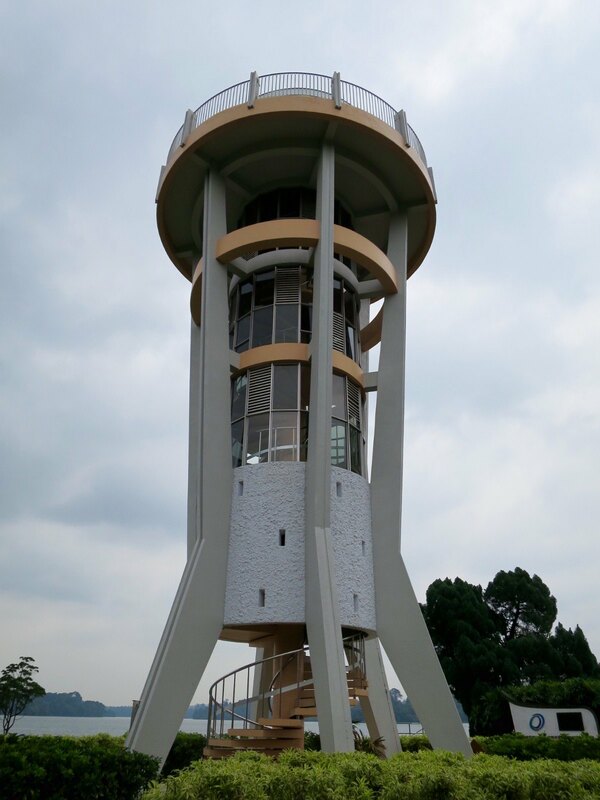 Once you see the iconic Seletar Rocket Tower, you’ll know you’re at the right place. This place is also an iconic wedding photography spot and I can see why! 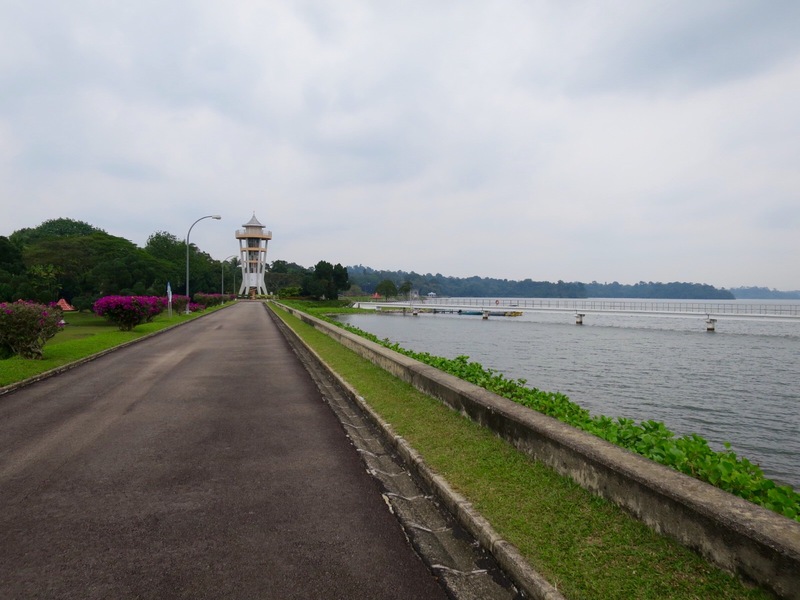 Across the vast reservoir is the Singapore Zoo. 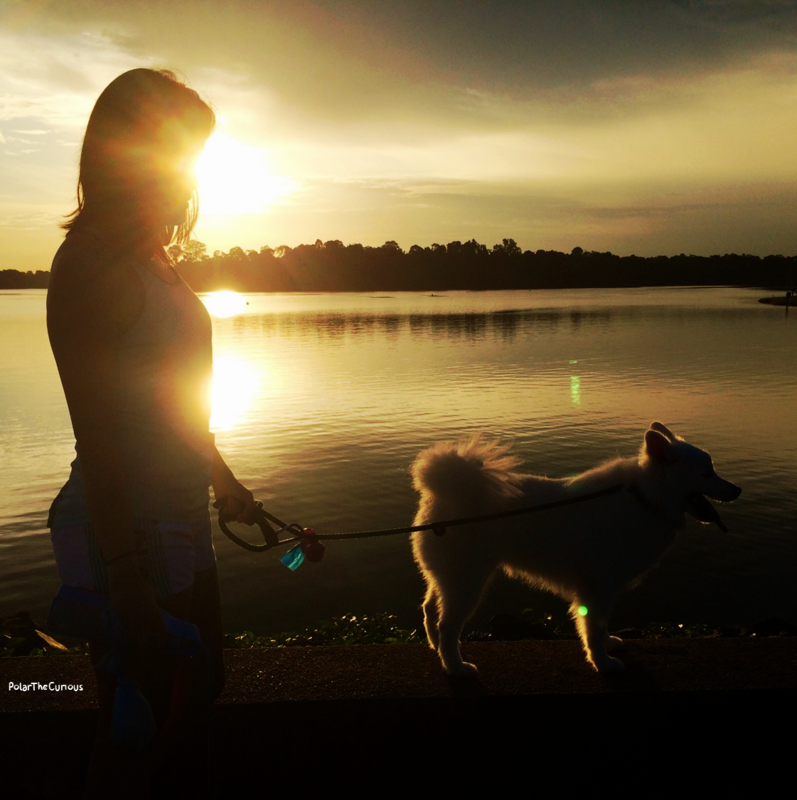 In the afternoon, there’s almost nobody there which makes it perfect to walk our dogs. 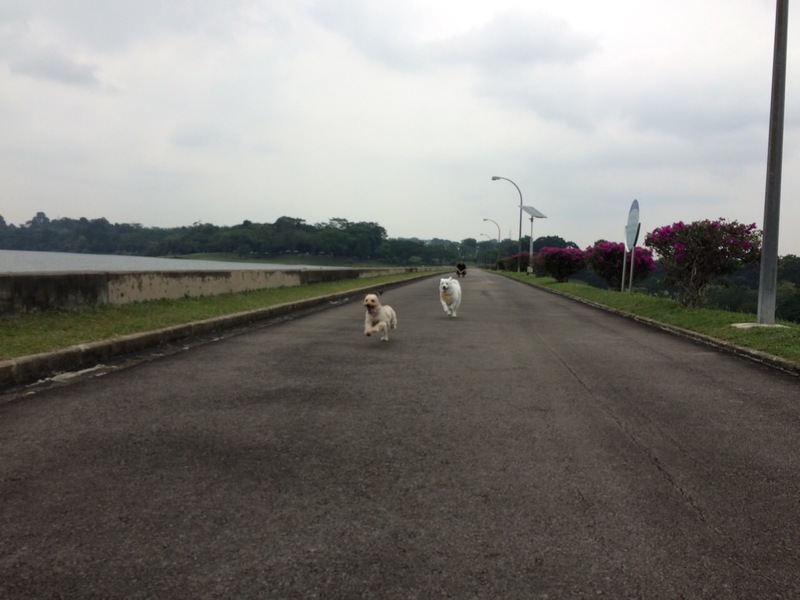 As it has long stretches of pathways by the reservoir, it almost feels like a mini runway (for dogs). 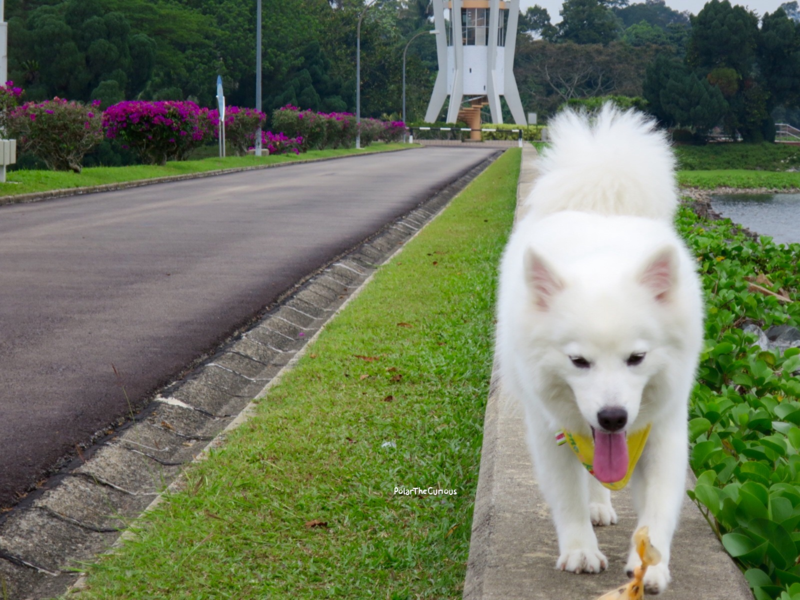 Going after brunch in the afternoon has it perks, there wasn’t anybody there so we let the dogs run off leash. The pathway overlooks some slopin is refreshing on the eyes. Polar posing for me. And demonstrating his agility skills walking on the ledge. His iconic way of sitting, which isn’t the most dignified. Meet Dashie! 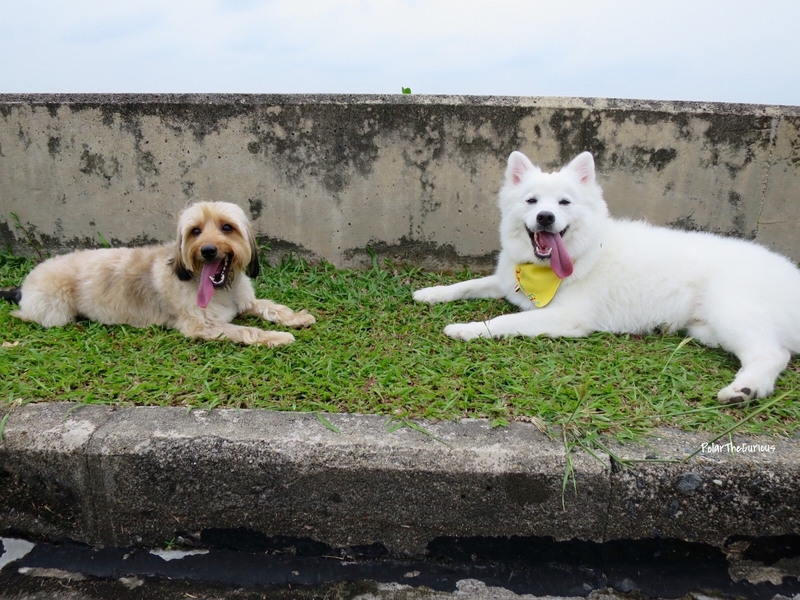 Finally got them both to settle down and could take a photo of them. In the evening, the scenery changed as the sky turned into vibrant and beautiful colours. Weather got a lot cooler and the view took my breathe away. 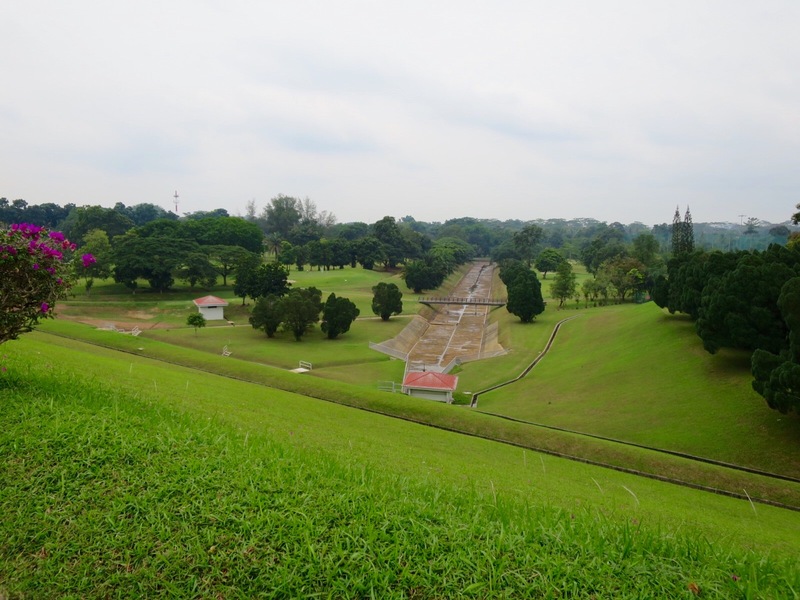 It was hard to believe we were still in Singapore, experiencing this stunning landscape. Evening joggers also started showing up and the place started to buzz with some human activity. 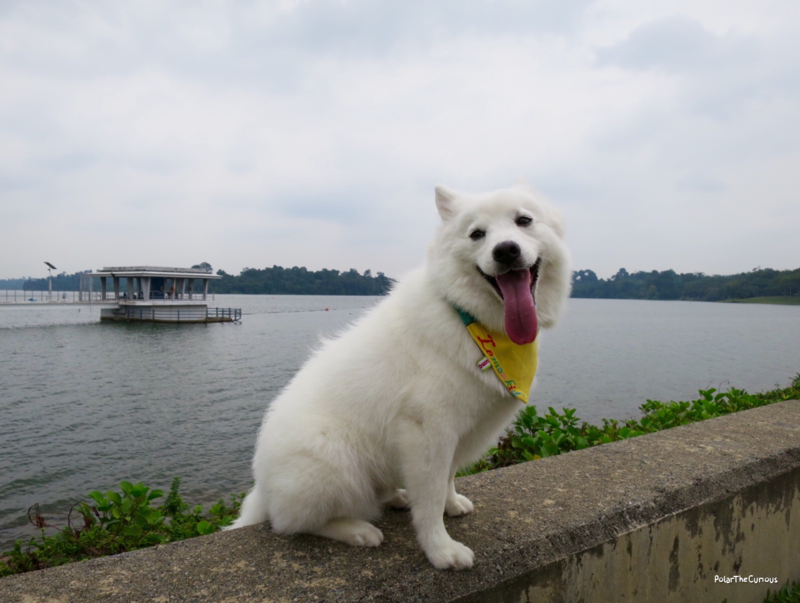 We look forward to discovering more beautiful places in Singapore that you can take your furkid to. We hope you liked this post, and until next time, stay curious! You’re missing some pictures? Or is it just happening to me 😛 But look at the clouds in the second last photo! Eh? Oh no!!! Which pictures are missing? They appear for me. But yes, it’s actually really beautiful. 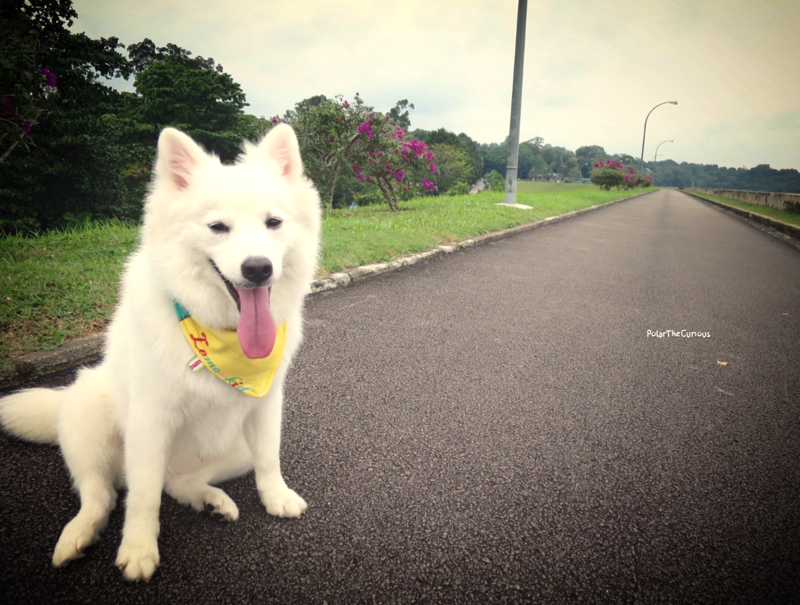 Lovely walk. Sent you the screenshots via facebook messenger. Been wanting to go there but just didn’t! 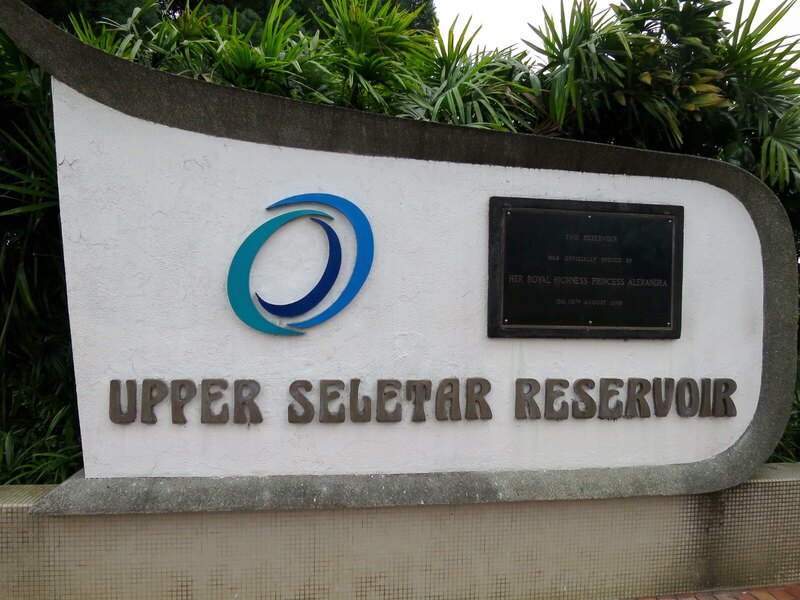 Have to go visit there soon. How about the weekend after the big national day weekend? Can! Saturday? How about 2pm? Cause we have something on at 4pm. Will 2pm be too hot?